Thank you for your interest in the the Clancy Site, located at 516 West Cabarrus Street. As part of our ongoing commitment to build places that improve the quality of life of our residents, neighbors, businesses and visitors, we’d love your input on this new downtown project adjacent to Union Station. We are currently in the planning phases and would like to better understand your vision for the area to help make this project the best that it can be. What do you think are the issues that need to be addressed? What are the opportunities for improvements that should not be missed? 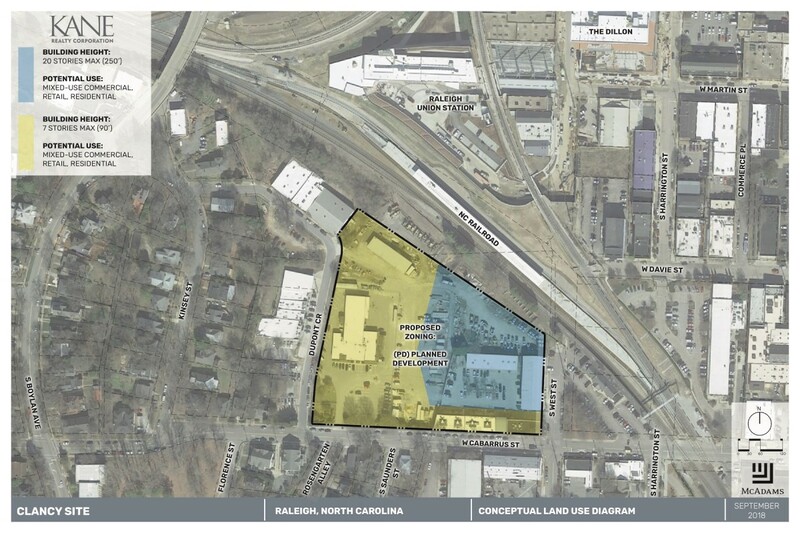 This survey includes a few quick questions to help us begin to have a conversation about the future of this part of Raleigh. Thank you for your time and we hope that you will continue to stay engaged throughout the planning process. Working together, we can position this project as a point of pride for all stakeholders by complementing and enhancing the characteristics of the surrounding neighborhood. How do you experience this area? What would you like to see this project achieve? What opportunities for improvements should not be missed? How can we ensure this project complements and enhances the character of the surrounding neighborhood? Anything else we should know as we develop a vision for this site? Thanks for your time and we hope that you will continue to stay engaged throughout the planning process. We will incorporate feedback from this survey into our planning for the site and share updates at future public meetings.